The Residence with Etihad Airways. If economy is not your thing and if you’ve got some serious money to spend, you can always book Etihad’s über luxury class, The Residence. 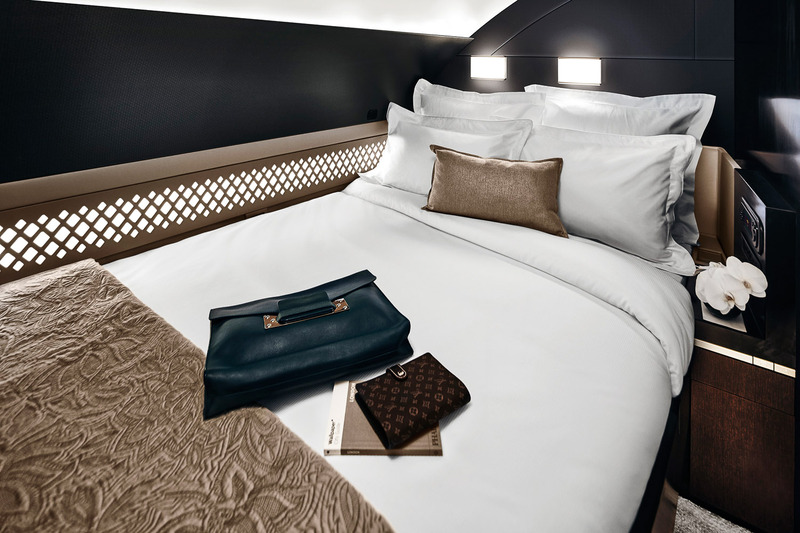 Just as many airlines are attempting to bridge the gap between classes with better designed planes, premium economy offerings and lots of little extras in economy, Etihad Airways has gone and completely reinvented the first class experience, sending it into a whole new realm with the introduction of The Residence. An ultra-exclusive pied-à-terre in the sky (there will be a grand total of just one Residence on each of the airline’s A380 planes, available for single or double occupancy), the space boasts a living room with Poltrona Frau reclining leather sofa, dining table, chilled drinks cabinet and 81-centimetre flat-screen TV. There’s also a separate bedroom including an actual lay-down-and-stretch-out double bed and Egyptian cotton sheets; and an ensuite bathroom complete with shower, luxe toiletries and fluffy bathrobes. Oh, and there’s a butler and in-flight chef to take care of your every whim. So what does all this bespoke luxury cost?